The cherry blossom survivors of last week's snowy cold snap are preparing to bloom just as impressively as ever -- and they've reached the 5th of 6 blooming stages, the National Park Service (NPS) announced Wednesday. Seventy percent of D.C.'s surviving Yoshino cherry blossoms reached the puffy white phase Wednesday, the NPS said. Although there is still one more phase to go before peak bloom, the puffy white stage is gorgeous on its own, as evidenced by photos the NPS released Wednesday. It's a moment we weren't sure we'd get to see -- about half of the Yoshino blossoms were killed by last week's freezing temperatures. But the NPS announced Friday that blossoms that were still in earlier stages at the time of the freeze had survived. The Yoshino trees also reached the start of their blooming period Wednesday, the NPS said, which is defined as when 20 percent of the blossoms are at full bloom. This period starts a few days before the peak bloom date and can last as long as 14 days -- although be warned that deep frost or extreme heat combined with wind or rain can shorten it, the NPS said. The NPS is predicting the blossoms to reach peak bloom this weekend, with temps expected to be in the 60s Friday and the 70s Saturday. 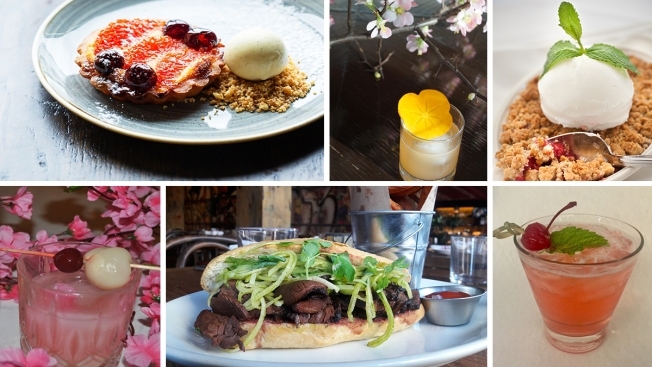 The National Cherry Blossom Festival started last weekend and continues for four weeks. 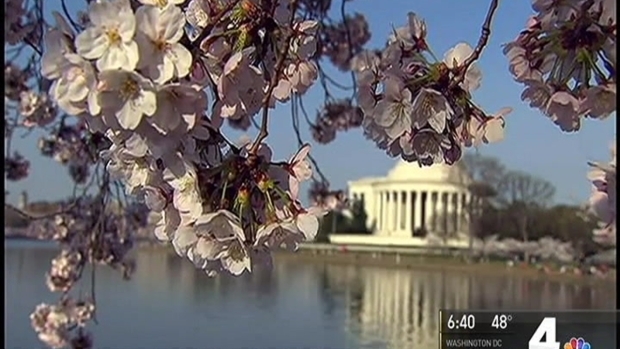 First, the cherry blossoms had to deal with unusually warm weather, then they were hit with a blast of frigid air, but News4’s Mark Segraves reports half of them survived the week. Unseasonable warm weather had experts a few weeks ago predicting an early bloom. Then a late-season snowstorm and a cold front changed everything. Temps in the low 20s killed most of the blossoms that had already reached the puffy white stage. "There was almost complete loss of those emerging blossoms," said Mike Litterst of the NPS. But about half of the trees were in the fourth stage or earlier. Horticulturists examined some earlier stage blossoms, putting them in warmer conditions to coax them to bloom and found that they did survive the cold. "There will be a peak bloom of the Yoshino cherry trees this year at the Tidal Basin, and we are delighted to be able to say that we know it's going to be beautiful, spectacular as ever," said Gay Vietzke, the NPS superintendent of the National Mall. However, Vietzke said they anticipate there will be fewer blossoms than usual, so the color may not be as dense as we've seen in past years. Yearly visitors may notice a difference, she said.